The decision to buy a second home may be made for a number of reasons. For example, you may have a destination where you and your family love to spend free time in, and you may be ready to settle into your own space in this location. You may considering the tax benefits associated with a second home, and you may even have plans to live in the home as your primary residence after you retire. According to the National Association of Realtors® (NAR), Sales of pre-owned homes dropped to a seasonally-adjusted annual reading 4.82 million sales in January as compared to an estimated reading of 4.95 million sales and December's reading of 5.07 million existing homes sold. This was a month-to-month decline of 4.90 percent, and represented the lowest reading for existing home sales in nine months. More encouraging news arrived with the Commerce Department's new home sales report; new home sales reached 481,000 sales on a seasonally-adjusted annual basis in January. Analysts had expected new home sales of 467,000 new homes based on December's reading of 482,000 new homes sold in December. The National Association of Realtors® reported that pending home sales rose by 1.70 percent in January as compared to December's reading of -3.70 percent. Pending sales were up 8.40 percent year-over-year. Job growth, a little more leniency in mortgage credit standards and slower inflation were seen as factors that contributed to higher pending sales. Pending sales represent under sales contracts that have not closed. 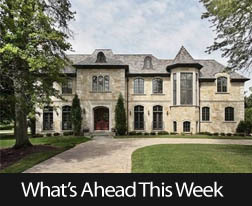 FHFA reported that home prices for properties connected with Fannie Mae and Freddie Mac loans rose by 5.40 percent on a year-over-year basis as compared to November' year-over-year reading of a 5.20 percent increase in home prices. This week's scheduled economic news includes consumer spending, construction spending and the Labor Department's non-farm payroll and national unemployment reports. 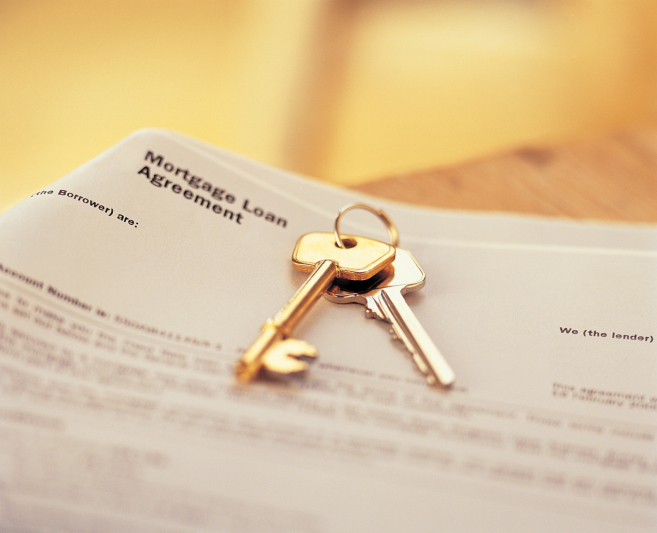 Weekly jobless claims and Freddie Mac's PMMS report on mortgage rates will be released as usual on Thursday. FHFA also reported that home prices rose 4.9 percent year-over –year from the fourth quarter of 2013 to the fourth quarter of 2014. FHFA Chief Economist Andrew Leventis described the report for the last quarter of 2014 as "relatively strong" and also cited low inventories of available homes and improving labor markets as contributing to home price growth. FHFA's expanded house price data, which adds data from county records and the Federal Housing Administration, to the FHFA House Price Index, indicated that home prices grew by 1.30 percent in the fourth quarter; year-over-year home prices grew by 6.0 percent according to FHFA's expanded house price data report. FHFA also reported that its "distress free" home price indexes which the agency publishes for 12 metro areas have shown less price appreciation than the FHFA purchase only Home Price Index. Distress-free means that foreclosed homes and short sales were not included in these index readings. FHFA has expanded its home price reports with a set of reports based on three-digit zip codes. Sorting house price data by the first three digits of a zip code provides more specific data for regional home price trends; mortgage and real estate pros can find house price data for specific neighborhoods and communities. FHFA described its three-digit zip code reports as "experimental" at present. If your personal budget is similar to many other people's budgets, your home mortgage payment is by far the largest expense that you pay for each month. In fact, this payment may easily account for 20 or 25 percent or more of your take-home income. 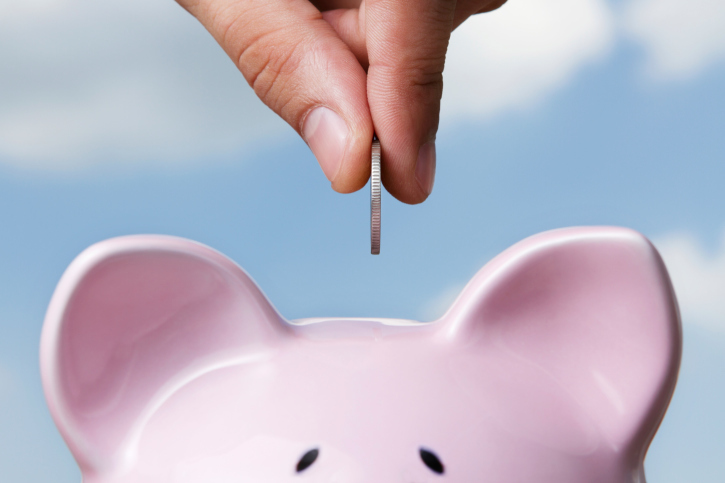 Understandably, you may be focused on trying to pay this expense off early. By focusing on this payment, you can build equity and may be able to achieve financial security more quickly. You simply have to find a way to put aside a bit of extra cash regularly so that you can make extra payments, and there are few easy ways that you can consider. 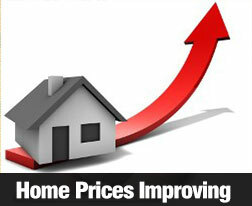 December home prices rose by 0.10 percent according to the Case-Shiller 20-City Home Price Index. The composite report tracks home prices in 20 U.S. cities. December's results boosted home prices by 4.50 percent year-over-year, which is approximately double the inflation rate for 2014. Analysts note that the overall reading was less significant than individual readings for the 20 cities included in the report. Winter weather conditions and the holidays can dampen demand for homes; it's worthwhile to note that three of the cities posting the largest month-to-month losses are located in cold winter climates. Home prices in the cities surveyed have increased by 29 percent since the March 2012 low, but remain 16 percent below their July 2006 peak. The Case-Shiller Home Price Index measures home prices using a three-month rolling average, while other home price reports base their readings on monthly sales. Case-Shiller's year-over-year reading of 4.50 percent for December of 2015 closely approached CoreLogic's reading of 5.00 percent home price growth year-over-year. 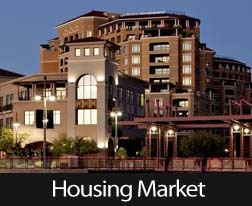 The NAHB Housing Market Index for February fell from January's reading of 57 to 55. Analysts expected a reading of 59. This was the lowest reading since October, but February's reading remains above the benchmark of 50. Readings exceeding 50 indicate that more home builders are confident about housing market conditions than not. The U.S. Commerce Department reported that January's Housing Starts dropped from 1.09 million in December to 1.07 million in January; the reading for January matched analysts' expectations. Weekly jobless claims provided some good news; they dropped from the prior week's reading of 304,000 new claims to 283,000 new claims. The expected reading was 290,000 new jobless claims. 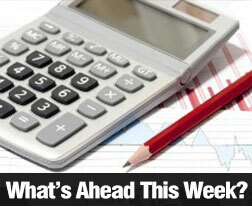 Next week's scheduled economic news includes several reports related to housing. New and existing home sales reports will be released along with the Case-Shiller Composite Housing Market reports. FHFA will release its House Price Index Report and Fed Chair Janet Yellen is set to testify before Congress. Reports on Consumer Sentiment and Consumer Confidence are also scheduled along with weekly reports on jobless claims and mortgage rates.